It’s one thing for a huge drug company, manufacturer, trade group, or media conglomerate to use their considerable coffers to fund educational programs, but what about when the ultimate goal of those programs is to just advertise products, movies, and TV shows to kids and their parents under the guise of education? While reading through a recent article on Statnews.com about the many ways that drug companies and medical device makers quietly market their products to kids, we stumbled upon the treasure trove of bizarre marketing/lesson plans distributed by a Connecticut company called YMI. There’s the Pfizer-sponsored lesson plans to raise awareness of meningitis B — which Pfizer tries to brand as simply “B” — a disease for which Pfizer just happens to market one of the two available vaccines. However, the Pfizer campaign is nothing compared to the more blatant advertising done in many of the other YMI lesson plans. 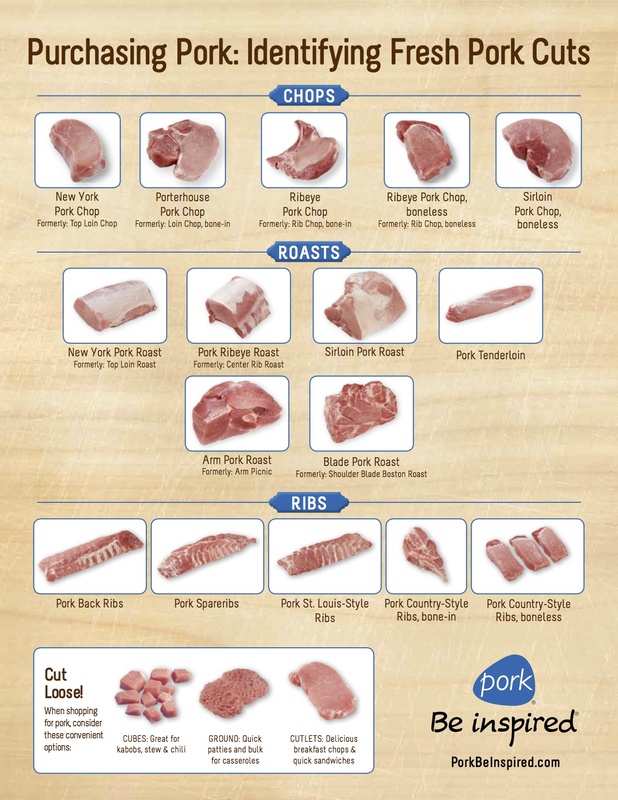 It even comes with a handy visual guide for “purchasing pork,” which is admittedly helpful for shoppers, but maybe not so important that it takes up classroom time? Again, the Big Pork lesson plan doesn’t mention any particular brand — just pig parts… yummy pig parts. Other lesson plans available on the YMI site quickly toss away the veil of education. 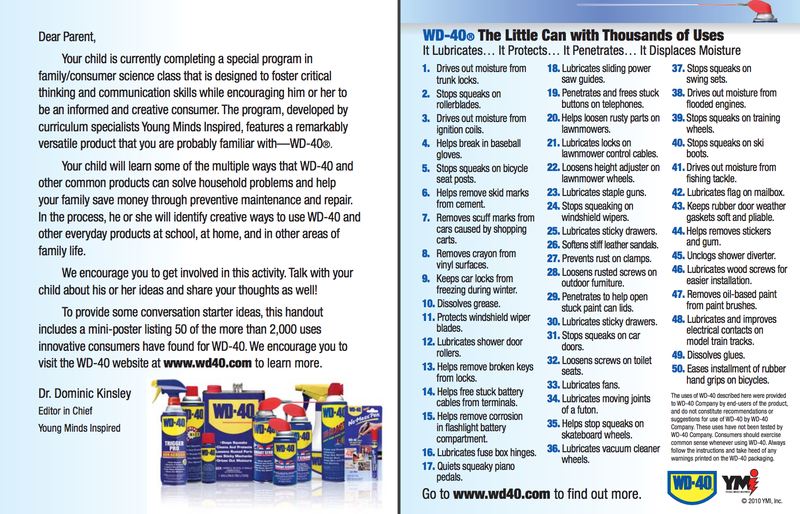 Because parents like to be made aware of what their kids are learning at school, WD-40 includes a take-home pamphlet, explaining that “Your child will learn some of the multiple ways that WD-40 and other common products can solve household problems and help your family save money,” and of course providing a list of 50 ways the spray lube can be of use around your house. Some “lesson plans” are literally nothing more than ads, like this one from IMAX that provides no more information than where students can go see a movie on an IMAX screen. Many movies and TV shows market themselves to kids through YMI, including one for the Peanuts movie, one for the Steve Harvey-hosted Little Big Shots, the Will Ferrell movie Elf, but none so head-scratchingly odd as this lesson plan based on Paul Blart: Mall Cop 2. Next Would You Sign Up For TSA PreCheck If It Was Cheaper? Next Up: Would You Sign Up For TSA PreCheck If It Was Cheaper?